microHomogenizer™ & microDisruptor™ tissue homogenization kits are an exciting new product from ClaremontBio, capable of preparing samples in a disposable & convenient device in minutes without the need for long overnight tissue digestion in preparation for downstream applications such as DNA extraction, RNA extraction, and protein purification. 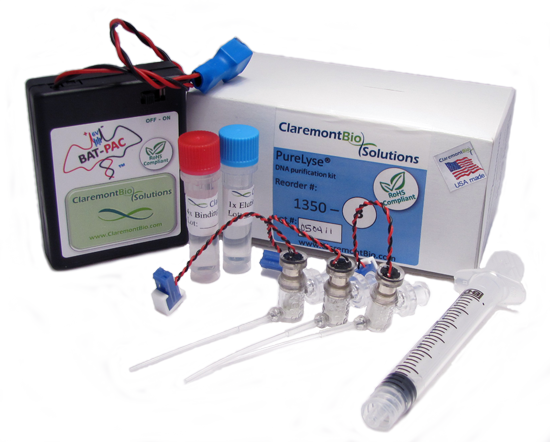 microHomogenizer™ kits are a beta technology from ClaremontBio that homogenize tissue samples ranging from mouse heart, tail, liver, and brain to plant tissue samples, all in a microfuge tube provided by ClaremontBio. The microHomogenizer™ tissue grinders can be used in preparation for any downstream application you prefer. - Prepare Samples for Downstream Applications: gDNA extraction, RNA extraction, protein purification. microHomogenizer™ kits for tissue homogenization in a microfuge tube.